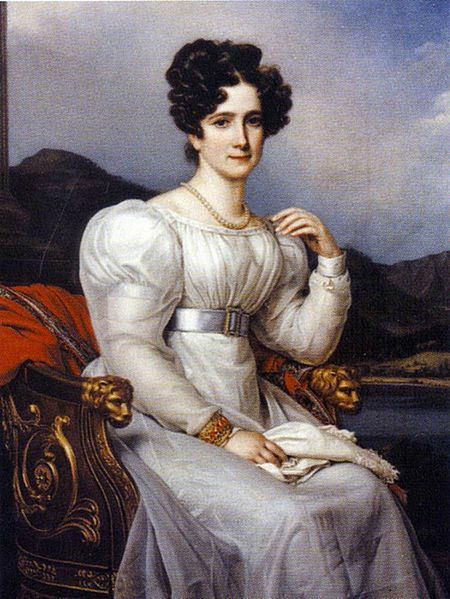 Fredrika Dorotea Vilhelmina was born 12 March 1781 in Karlsruhe, in the Duchy of Baden. Her parents were Karl Ludwig of Baden and Princess Amalie of Hesse-Darmstadt. Known as “Frick” to family and friends, Frederica of Baden was the younger sister of the wife of Tsar Alexander I of Russia, Elizabeth Alexeievna. Through her marriage to King Gustav IV Adolf of Sweden, she was Queen from 1797 until 1809 when the royal family was put under house arrest and forced into exile. In the late 1700s, Empress Catherine the Great was looking for suitable spouses for her grandsons Alexander and Konstantin. She expressed her interest in the young Princesses of Baden, and in 1792, Frederica and her sister Louise visited the Empress in Saint Petersburg. She chose Louise to be the bride of Alexander, while Frederica was considered too young and frail. She had suffered from rheumatism all her life and appeared to be in poor health, and was sent home in the autumn of 1793. In 1797, Gustav IV Adolf of Sweden turned down a marriage proposal contract from Grand Duchess Alexandra Pavlovna of Russia. They were engaged, but he had fallen in love with Ebba Modée, the maid of honour to Duchess Hedvig Elisabeth, and told her he would abdicate and elope with her. She declined, and the Swedish royal began looking for other options around Europe. In August, he traveled to Erfurt to visit Frederica and her family. 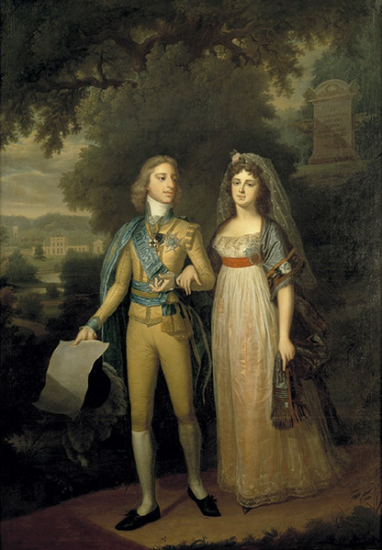 He had previously met Frederica’s sister in Saint Petersburg when he was still engaged and was left with a good impression of her. The King hoped the younger, unmarried sister would be just as beautiful. He was not disappointed, and the engagement was declared shortly later the visit. Thanks to the mediation of Hedvig Elizabeth, the relationship between the couple improved and after the birth of their first child Gustav in 1799, the King became increasingly kind to his wife and would frequently write her love letters. They went on to have four more children, one of whom died before turning 3. After their coronation in 1800, Frederica and Gustav Adolf stepped back from royal duties and devoted themselves to an intimate family life at Haga Palace. Sadly, the harmonious idyll wouldn’t last very long. In March 1809, the King left the family at Haga to deal with the disturbances that had escalated in the capital. Shortly after his arrival, he was captured at the Royal Palace in the Coup of 1809 and imprisoned at Gripsholm Castle. 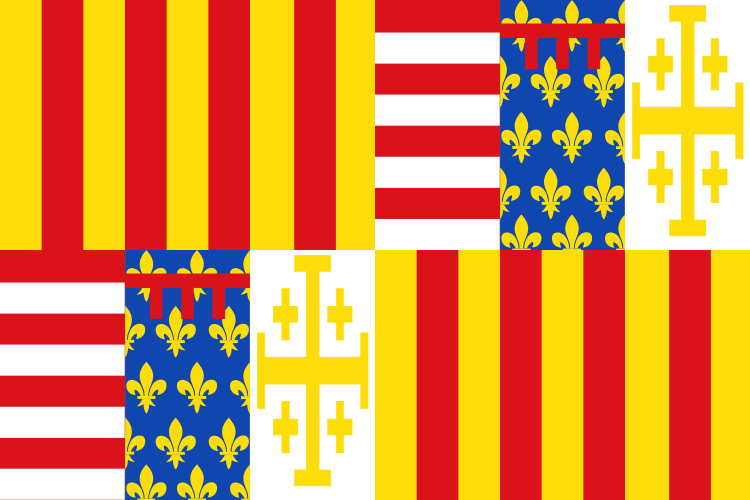 Frederica and the children were kept under house arrest, and the King was eventually deposed in favour of his uncle. 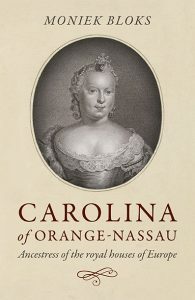 During this time, Frederica was given more sympathy than she had ever received as Queen. Her successor, Hedvig Elizabeth, visited her often and was the one who helped her reunite with Gustav Adolf. Thanks to the new Queen, the whole family was allowed to live together at Gripsholm, although still under house arrest. They were eventually forced to leave Sweden altogether and decided to settle in the Duchy of Baden. After years of maintaining a happy marriage, Frederica and Gustav Adolf found themselves struggling again. Disagreements about their future living situation had already been an issue at Gripsholm, and after their arrival in Baden in 1810, the tension between them was inevitable. He wanted to live a bourgeois family life in Switzerland and possibly have more children while she refused to bring any exiled royalty into the world. Ultimately, their differences caused Gustav Adolf to move to Switzerland without the family, and he demanded a divorce. Frederica and the children settled at the castle Bruchsal in Karlsruhe. The former Queen had been allowed to keep her title and kept in close contact with the new Queen Hedvig Elizabeth who had always felt sympathy for her. She spent the remaining years of her life at the court in Karlsruhe and frequently travelled to Germany, Italy, and Switzerland. 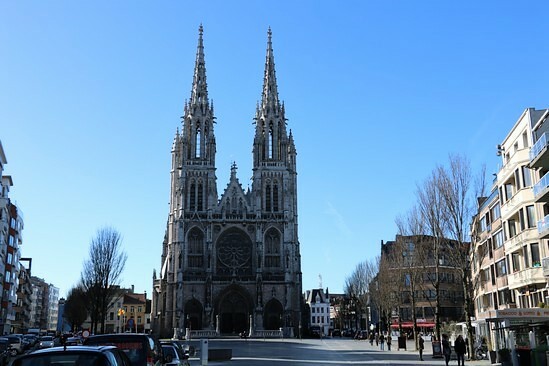 Her health deteriorated during the 1820s, and she died of heart disease while visiting Lausanne in 1826. She was 45.